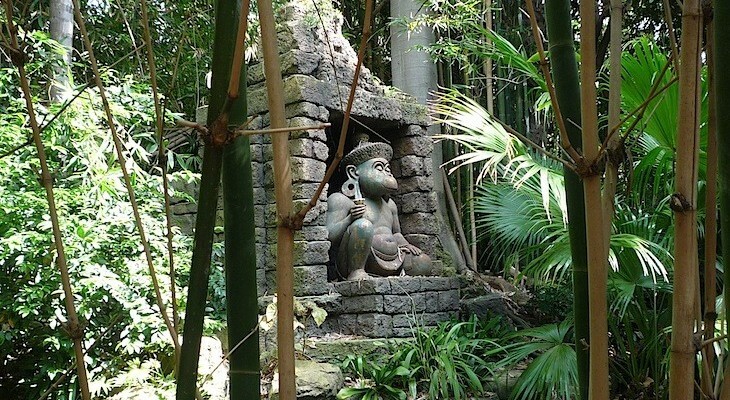 Wildlife and danger abounds in the tropical jungle of Adventureland, at least in the imagination. 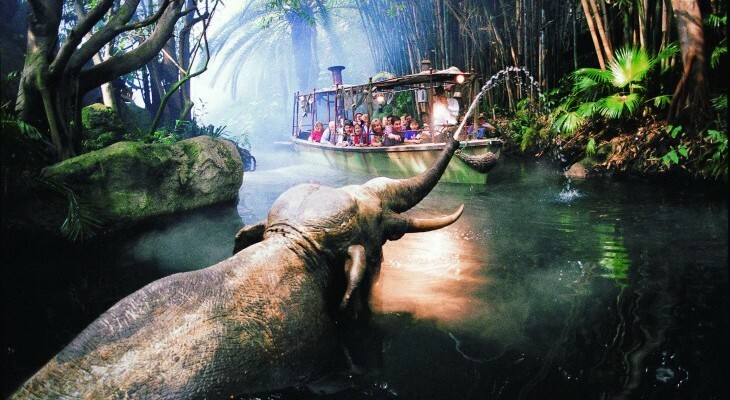 Sail away on a hilarious journey of the Jungle Cruise, then try not to look into the Forbidden Eye on the Indiana Jones™ Adventure. 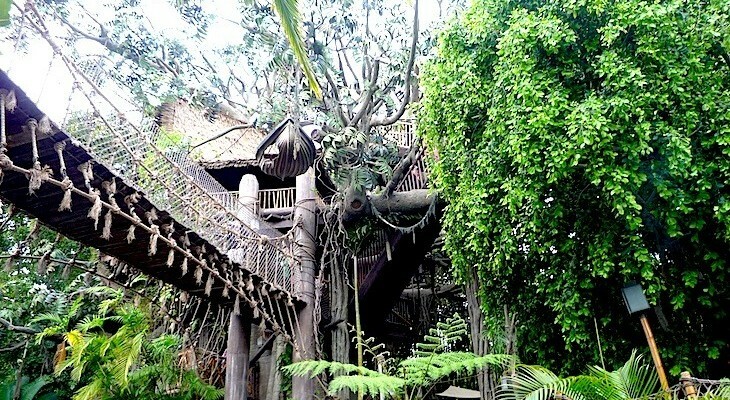 Take a climb through Tarzan’s Treehouse™ and later enjoy the tropical birds of the Enchanted Tiki Room. 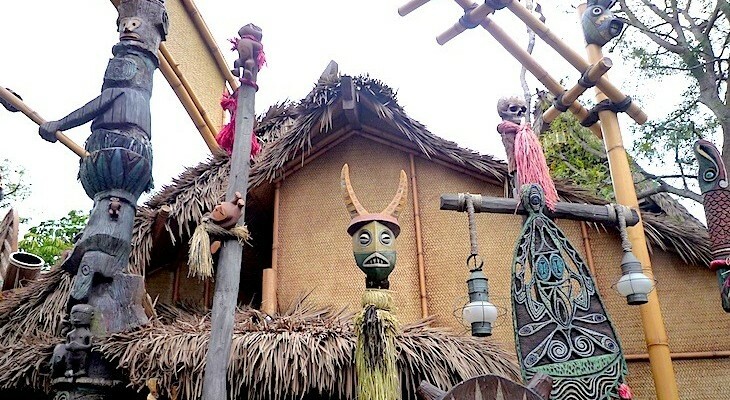 Here is one ride that you won’t find at Walt Disney World although its track is the same layout as the Animal Kingdom’s Dinosaur attraction. 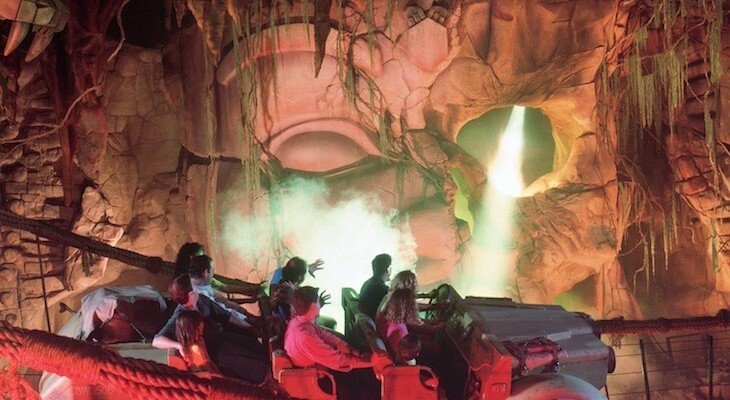 After working your way through an archeology site and winding your way through The Temple of the Forbidden Eye’s numerous passageways, you’ll board a 12-passenger military transport vehicle that tips and pitches its way through a wild Indiana Jones expedition. Now, whatever you do, don’t gaze upon the Forbidden Eye! You did it . . . you looked into the Forbidden Eye! Get out, get out before the temple crashes around you, but not before encountering creepy crawly creatures, hissing snakes, scrambling rats, collapsing bridges, and, in true Indiana Jones fashion, a gargantuan granite ball a la Raiders of the Lost Ark. Minimum height 46 inches (3 feet, 10 inches). Not recommended for expectant mothers or those with back, heart, or neck problems. FASTPASS. Single-rider line. 3.5-minute ride. Cara’s Tip: This is one popular attraction so head here first thing in the morning before or after Space and Splash Mountain. Although it may seem like the attraction is packed in the first hour or so after park opening with the line snaking outside the entrance, it’s probably best to ignore it and just get in line. You’ll more than likely find that the queue inside the temple is almost non-existent, and you’ll be patting yourself on the back that you avoided what could have been a ridiculous wait in line later in the day. The attraction breaks down quite often so come prepared.